Wood oven pizzas, homemade pastas, succulent meats and fresh seafood dishes dominate Rome’s renowned gastronomy and can be tasted at these authentic Italian eateries. Pizzarium in Prati. Credit: Lynn Chaya. Images of Rome are idealized by narrow, winding cobblestone pathways that perfectly depict the streets of Europe. The downfall to these beautiful narrow roads, though, is that most of the city’s restaurants consist of tiny tucked away pizzerias or cafeterias that can only fit about 10 people at a time. Student groups could waste hours trying to find a restaurant suitable for 40 to 50 people. To avoid losing precious time in the Eternal City scouting out group friendly restaurants, we’ve scoped out a few of the best authentic Italian eateries with delectable Roman cuisine and spaces large enough for traveling student groups. 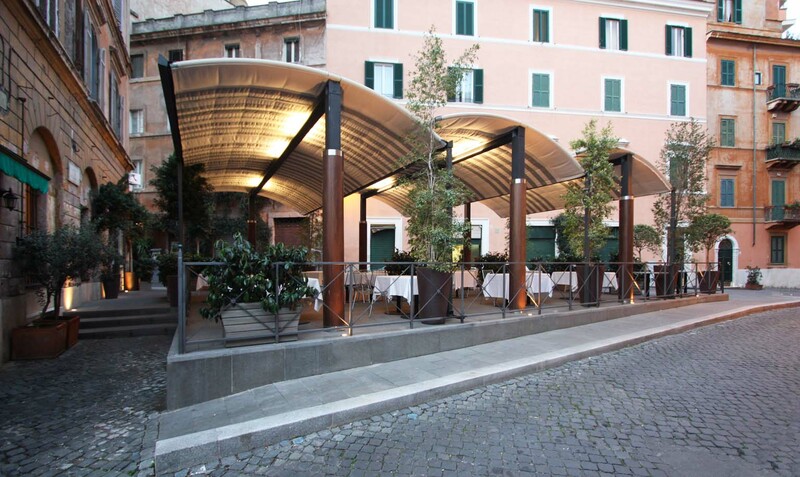 Dedicated to finding harmony between man and nature through food, Trattoria San Teodoro is conveniently located in the heart of Ancient Rome between Palatine Hill and the Roman Forum. Characterized by minimalist furniture dating back to the late 17th century, the restaurant offers large indoor and outdoor spaces ideal for receptions, business lunches, corporate meetings and student groups. During warmer months on days without rain, the restaurant offers a well-kept, shady private outdoor seating area available for reservation and perfect for large student groups. While the restaurant specializes in moderately priced seafood dishes, they also offer a variety of delicious homemade Italian meals, including boneless Roman lamb and Gragnano penne pasta. Open every day for lunch from 12:45 p.m. to 3:00 p.m. and dinner from 7:45 p.m. to 11:00 p.m., Trattoria San Teodoro provides a delightful and peaceful oasis away from Rome’s chaos and hectic traffic. Arrosticino Pane & Vino. Credit. 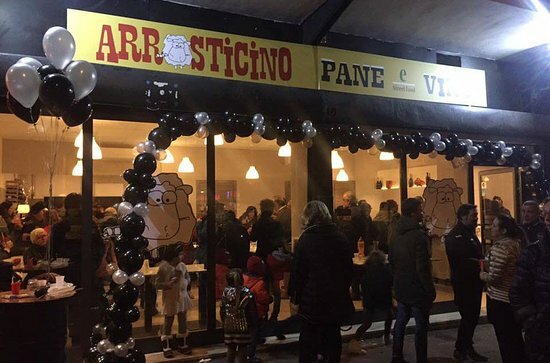 Ranked the number five restaurant in Rome on TripAdvisor, Arrosticino Pane & Vino invites student groups to indulge in authentic Abruzzo roasted sheep cooked in classic charcoal furnaces. Other featured dishes include cold cut platters, cheeses, salamis and classic Italian bruschetta accompanied with a unique sausage spread. This popular Italian barbecue joint features a variety of gluten-free options for students. 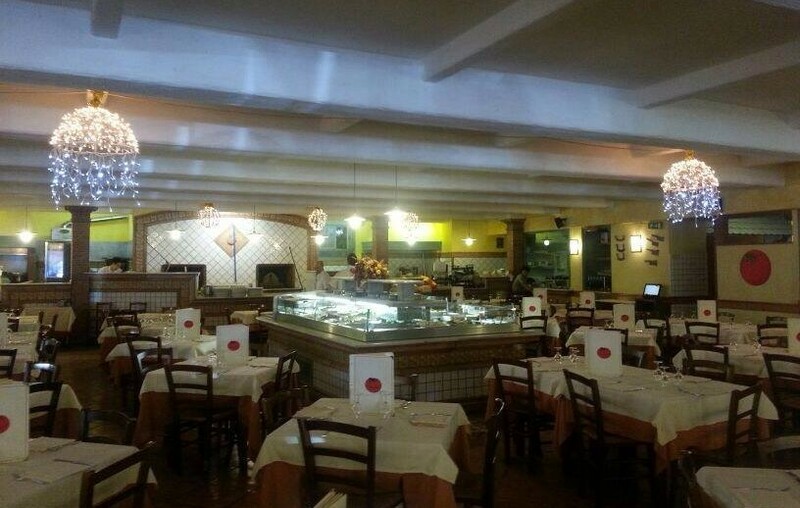 While it can be difficult to find restaurants in Rome that cater to large student groups at affordable prices, Arrosticino Pane & Vino offers cheap eats with spacious indoor seating perfect for large student groups and available for reservation upon request. If your student group is in a hurry to continue sightseeing around Rome, the restaurant also offers a quick and reliable take out service. The restaurant prides itself on a friendly, English speaking staff, accepts credit cards, allows pets, has free Wi-Fi, air conditioning and is wheelchair accessible. Serving dinner Tuesday through Sunday from 7:00 p.m. to 11:00 p.m. and lunch on Sundays from 12:00 p.m. to 2:00 p.m., Arrosticino Pane & Vino is located near Tor Fiscale Park and is nearest to the Lucio Sestio Metro stop. 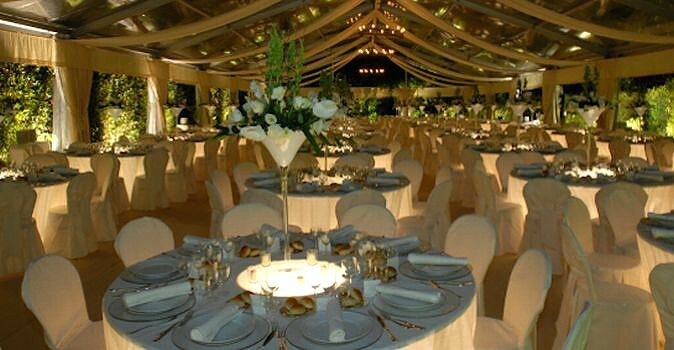 For over 10 years, Il Pomodorino has been a Roman hub for large group events such as work dinners, graduation parties, communions, confirmations and numerous conventions. On their website, groups can choose between any of the restaurant’s five spacious catering rooms available for rent upon reservation. Il Pomodorino features Sala Gondola, Sala Cardinale, Sala dei Cavalieri, Sala Veranda and Sala Terrazza. Specializing in classic wood oven pizza, the restaurant also offers homemade pasta, fish and meat dishes, the most popular being the filetto chianina, a true Tuscan specialty from the Chiana Valley region. Il Pomodorino’s extensive wine list features more than 100 labels from all corners of the country. A cordial and exclusive atmosphere, the restaurant is located just steps away from one of the most famous and elegant streets in Rome, Via Veneto, and is open daily for lunch from 12:00 p.m. to 3:00 p.m. and for dinner from 7:00 p.m. to 11:00 p.m.
Casina di Macchia Madama. Credit. Situated at the top of Monte Mario where rulers of the Holy Roman Empire camped out during the Middle Ages, Casina di Macchia Madama was restored in 1989 by the Vanni family. Regularly serving as a Roman wedding venue with stunning hillside views of the Eternal city, Casina di Macchia Madama also hosts conventions, corporate events, private meetings, cinema screenings and student groups. The venue features five different private rooms available for rent with the capacity to seat between 20 and 1,000 guests. Besides the five beautifully furnished rooms is a 300 square meter winter garden, a terrace and a 3,000 square meter park. The Casina also provides 230 parking spaces. With air conditioning, Wi-Fi service upon request, handicapped accessibility and even a babysitting service, Cassina provides student groups detail oriented services accompanied by friendly and accommodating staff members. Casina’s kitchen and catering services feature Chef Giampiero Fava, exceling in authentic Italian cuisine by following in the footsteps of predecessor master chef Amedeo Migni who created the venue’s cuisine until 2000. Student groups can receive a free online quote regarding rental availability here. Are You Ready for Arlú? Supremely located in the center of the Borgo di Roma district near Vatican City, Arlú provides student groups unique spaces available for private hire and ideal for hosting special events and functions. For over 50 years, a pleasant and familiar atmosphere at Arlú offers student groups lunch and dinner menus filled with fresh, natural ingredients and an excellent balance between quality and affordable prices. Furnished with style and elegance, the restaurant favors seasonal raw materials that guarantee freshness and digestibility. A family owned business, Arlú dedicates itself to traditional cuisine, a Mediterranean atmosphere and warm Italian hospitality. With a relaxing outdoor terrace and comfortable indoor seating area housing up to 55 guests in total, the restaurant has enough space to host large student groups. Boasting the flavors of the Mediterranean Diet, Arlú specializes in homemade breads, biscuits, cakes and pastas, along with traditional meat and savory seafood dishes. The restaurant is open for lunch Monday through Saturday from 11:30 a.m. to 4:00 p.m. and for dinner from 6:30 p.m. to 10:00 p.m. Reservations for large student groups can be made by phone only.